So last night I started thinking about all the oracle decks I have (excluding the lenormand) most of them being Doreen Virtue decks and realized that I dont have a deep connection with any of them! I noticed that everytime I buy a new oracle deck, I only use it for about 2 weeks and never use it again because I have soo many that I become spoiled with choices! (Oddly enough, I only have ONE Lenormand deck.) So I was thinking of giving each and every one of them the attention they deserve for a month. 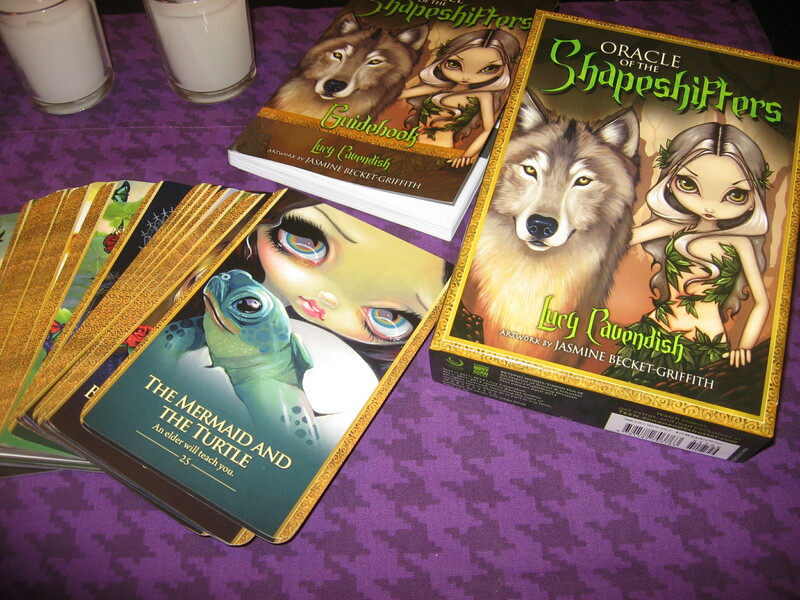 I plan on using the Oracle Of The Shapeshifters by Lucy Cavendish together with my Lenormand readings for the rest of October and November exclusively. I got the shapeshifters deck few months ago and I gotta be honest; I never used it. Not once. I’m not sure why either. Its such a beautiful deck LOL! So it will be interesting to see how it complements the lenormand readings I’ll do for myself and others. P.S. I really enjoy pulling a card from an oracle deck at the end of a reading, and offer it as some final advice to the querent.